Author, speaker and certified life coach specializing in resiliency, I was born and raised in the northwest suburbs of Chicago and completed my BA in Applied Behavioral Sciences from National Louis University in 2012 after becoming a solo mom in 2009. Growing up in an alcoholic home and then marrying into another alcoholic family offered real life education in the world of addiction. Certification in coaching was the natural next step for me to help women everywhere AND myself. After more than 350 hours of training, I was certified in 2014 through IPEC. It was there that I knew I had to write my story. 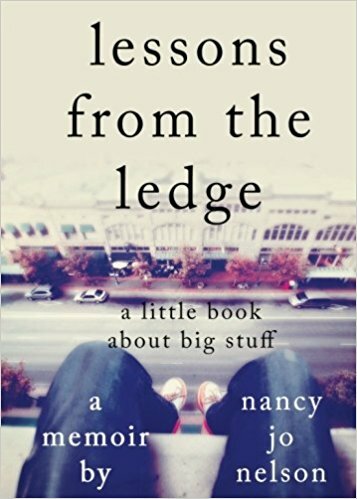 Lessons From The Ledge will be available on Amazon in June of 2017, and I know there is a message in my mess. I am passionate about being real and fearless especially about the challenges we face as solo moms. You can find my thoughts here as well as on ESME.com (Empowering Solo Moms Everywhere) where I am the Addiction Resource Guide and a regular contributor to the Bereavement section. As we lean on each other, we strengthen each other. We are not alone.